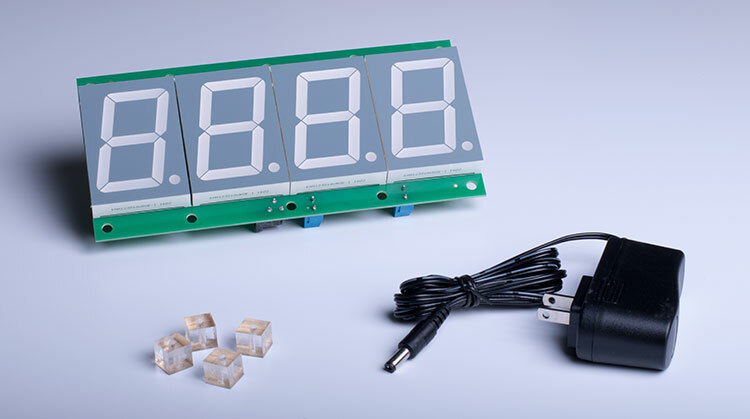 2.3" High Brightness Led - Our standard 4 digit counter module display system. Automatically updates daily based on user programmable selections: Display numbers from 0 to 9,999. Display configurable to count up or down automatically based on a 1 to 7 day work schedule. 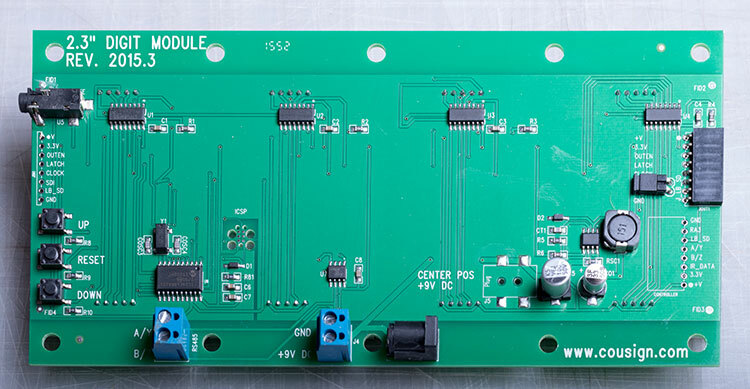 Includes 4 module standoffs and 9 Volt UL 120 volt Power Supply Module.